Welcome to the July 2016 edition of our newsletter Paris Panorama! Each month we feature an inspiring haiku poem by Anna Eklund-Cheong. 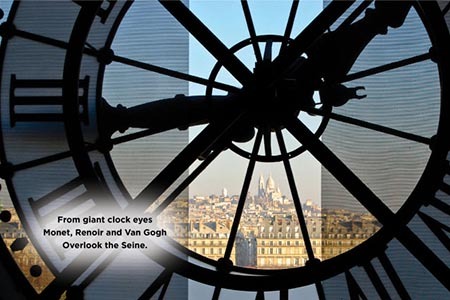 You will also find a photograph with a link to a review of our restaurant of the month (sign in to read the review), an angel of the month by Rosemary Flannery, and information about what’s up in Paris. 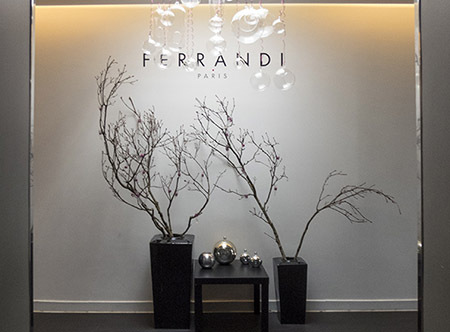 Le 28 is a handsome, fully-equipped training restaurant at the Ecole Ferrandi, a prestigious cooking school affiliated with the Chamber of Commerce and Industry of Paris. Follow this link and sign in to read our review: http://www.parisinsights.com/restaurants.php. 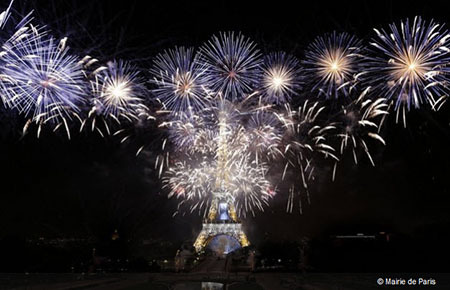 July is the month of revolutions: in France, our ‘independence day’ is Bastille Day, celebrated on July 14th. The ardent revolutionaries, at war with the monarchy and the clergy, tried converting everyone with their motto ‘liberty, equality and fraternity, or death’. 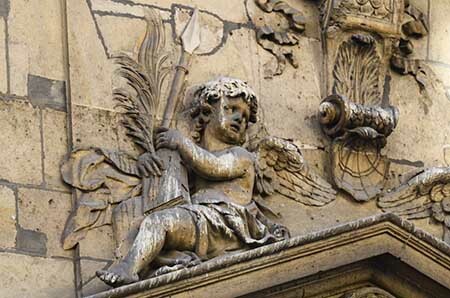 Even angels atop the side door pediment of Saint Nicolas du Chardonnet Church were drafted to their cause. This little stone cherub held a bishop’s staff, until it was hacked off and replaced with a pike, the weapon of choice of the militants. Luckily, they left the rest of the beautiful ornamentation alone: the graceful palm front, flowing drapery and ribbon, and the angel’s book, a symbol of the Scriptures. On 14 July 2016, a spectacular fireworks display to celebrate the French national holiday will take place at the Eiffel Tower. More information can be found here.